As most of us know, prayer is communication with God. Now communication requires hearing on both sides, so naturally when we pray we are eager to hear God too. 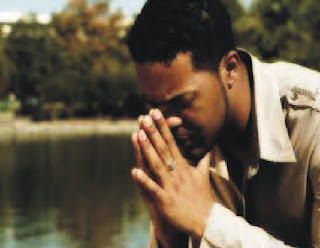 Now is it possible to pray to God but hear back from something or someone else? The answer is yes. This is not a matter of spirituality it is a matter of spiritual knowledge and understanding. When you pray without the knowledge of the word and counsel of God, you are unable to tell the difference between voices because the devil can disguise himself as an angel of light (see 2 Cor 11:14). This is why we must guard our hearts with the word of God always so that when we hear something contrary to God we can identify it. The word of God serves as a fence that hinders wrong intruders into your mind. As you go into today, determine to study to know the word more so you will not be misled by any false voice. Kindly share this devotional with your contacts and let’s touch lives together.